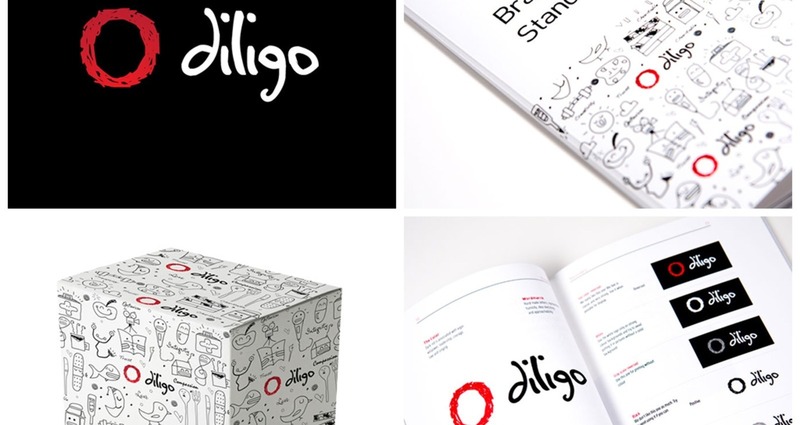 Diligo is a web community for people to create, collaborate or invest in ideas that will change the world in a positive way. To create a brand that was approachable, humble, positive, creative and youthful. Appealing to young people but also to potential investors. Because Diligo is all about ideas and sharing them, we needed to go back as far as when human kind would draw on caves to communicate and express their thoughts. We took most of our inspiration from petroglyph drawings and brought them back to what we now call doodles. These doodles represent all the company’s values and personality.